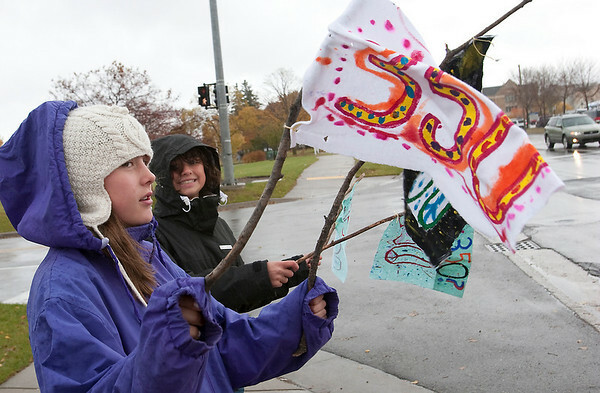 Left, Clara Hahn, 12, and Majida Halaweh, 16, both from Benzie County, wave flags that have "350" on them for the International Day of Climate Action. Traverse City, participants gathered in the shape of "350" for a photograph and held other activities. They want the U.S. to return to 350 ppm of carbon dioxide in the atmosphere.